Back by popular demand, the Barbados Island Inclusive is gearing up to relaunch its amazing money-saving offer giving travelers a second chance to visit the sun-drenched island of Barbados. This package is available again for travel through December 21, 2013 inclusive - but trips must be booked by September 21, 2013. With the Barbados Island Inclusive, guests receive "free spending money" based on their length of stay for use at participating attractions and restaurants while on-island. With a minimum stay of 5 nights guests will receive $150.00 per person and on stays 7 nights or longer guests will receive $200.00 per person based on a maximum of two (2) persons per room. Vouchers will be distributed to guests upon hotel check-in. This added value promotion allows jetsetters to escape to paradise for near perfect weather, authentic food and lively music - all the ingredients to long live life. With many of the island properties participating and boasting over 30 attractions and restaurants, guests will have the opportunity to experience Barbados through dining and adventure! American Airlines continues nonstop service to Grantley Adams International Airport in Bridgetown, Barbados with routes from New York and Miami. JetBlue Airways continues to offer daily nonstop flights between New York's John F. Kennedy International Airport and Grantley Adams International Airport in Bridgetown, Barbados. Those traveling from Boston can also easily connect through New York to arrive in sunny Barbados. US Airways continues to offer nonstop service once a week each Saturday out of Charlotte Douglas International Airport (CLT) to Grantley Adams International Airport in Bridgetown, Barbados. The island of Barbados offers an authentic Caribbean experience with its exceptionally rich culture and history rooted in remarkable landscapes. Each side of the island offers a completely difference experience. 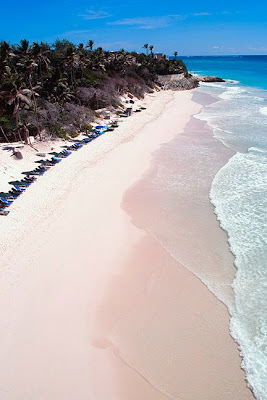 Barbados Crane Beach (shown above) has been rated as one of the best and sexiest beaches in the world. Barbados offers an array of activities via land or sea - far more than you can cram into a weeks vacation! The island is also the first Zagat-rated Caribbean island with numerous internationally renowned chefs who put their signature spins on local delicacies and traditions. To book at any participating hotel partner use booking code: BII2013. Upon check-in, guests will receive the vouchers in denominations of $50.00 in Barbadian increments and will be provided a list of all participating service providers. 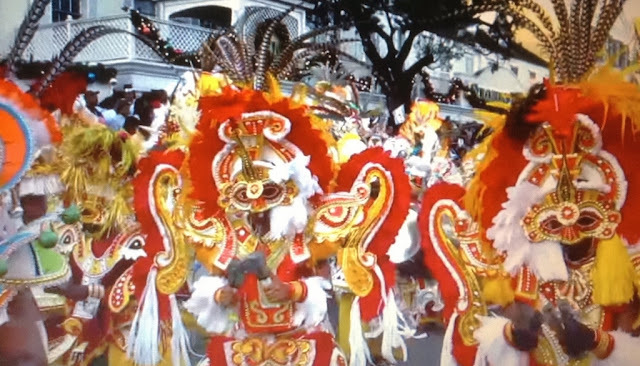 Go to VisitBarbados.org/islandinclusive or www.Bookbarbadosnow.com/island-inclusive for a list of preferred partners and participating attractions and restaurants.